Brian Wright, online business coach, author, and podcast host, joins our show in this special episode of The Justin Stenstrom Show. 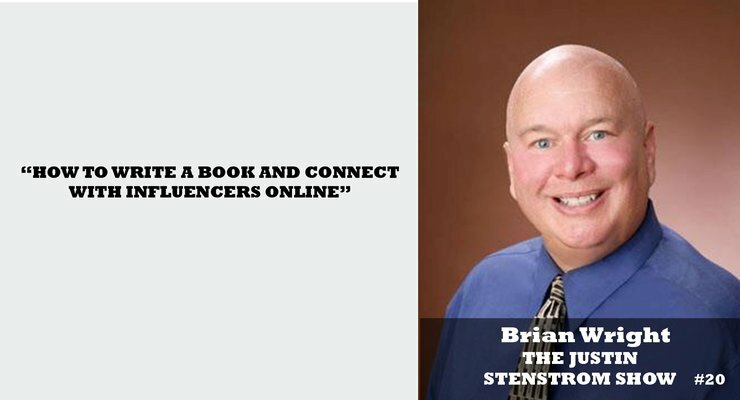 Brian talks about the best strategies for writing a book and getting it published and he shares the lessons he’s learned about networking and connecting with major influencers online. He gives us a great breakdown of the writing process and dives into many of his best tips for creating your first book and bringing it to life. If you’re wondering what it takes to write a book and get published, check this episode out now!